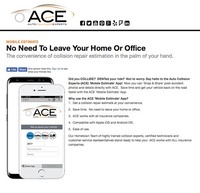 Auto Collision Experts (ACE), 'Your Hometown Collision Team' has the expertise, experience and equipment to return your vehicle to pre-accident condition. Take nothing for granted, at ACE, integrity, accountability, compassion and quality craftsmanship are watch-words that drives our seasoned/certified techs and fanatical customer service representatives. Our distinction is ''service'' and an amazing customer experience both of which build loyalty, relationships and respect in our shops and in our community. 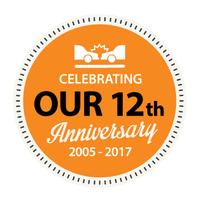 ACE has been providing its customers with exceptional collision repair and customization services since 2005. When we say - ''We Take Pride in All We Do and We Are Here For You'', it is more than a jingle, it is a way of way of life. At ACE, we know that the last place you want to be is in a body shop having your vehicle repaired after what was probably a very traumatic experience. Owners Steve Price and Keith Hess are committed to making the entire repair process as painless as possible. Four shops in the greater NoCo region to serve you; Windsor, Fort Collins and Loveland. All ACE techs are I-CAR and ASE certified. Every I-CAR Certified ACE tech has the necessary technical knowledge and skills to ensure a complete and safe repair. ACE is an ASE Blue Seal Certified shop. ACE is an Assured Performance Recognized Certified Collision repair facility. 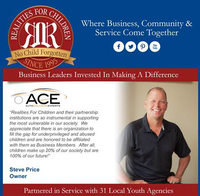 ACE is nationally ranked in the top 10 and top 20 by Geico.